You're invited to usher in a golden era of prosperity! 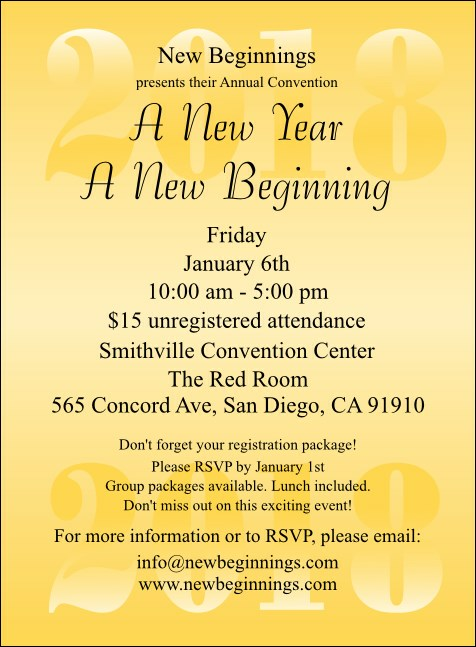 Guide your organization to shining success when you kick off your big annual event with the Gold Year Invitation. For bright days and shimmering nights, the entire matching Year Event Kit is a publicity template you can take to the bank. With the right invitation from TicketPrinting.com, you'll look good as gold!